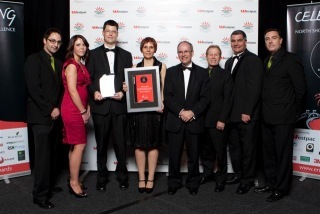 We are proud to announce that Secured Signing was the winner of the 2010 Eco Insulation Excellence in Design, Research & Development Award at the 2010 Westpac ENS Business Excellence Awards. Secured Signing is a legally binding, secured Cloud-based Service (SaaS) that automates and manages the online signing process of documents for any business size. The service delivers a full range of signing capabilities and incorporates advanced PKI technology. The panel of independent judges awarded Secured Signing in this distinguished category saying they were impressed with “this winning company’s disciplined approach to problem solving and use of outside resources. This company’s kiwi innovation stands out with its global application”. 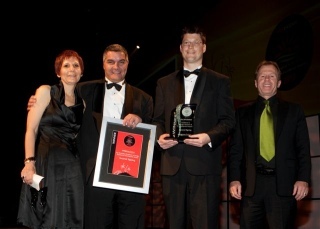 “We were very proud and excited to accept this winning award” says Mike Eyal, Secured Signing Managing Director. “The judges decision was another validation for our comprehensive advanced service that allows companies and organisations to improve workflow and efficiency, cut back on expenses, expedite delivery cycles, enhance customer service and become environmentally friendly”.